The Carolina Hickory is the stuff Cabin and Country Livin' dreams are made of. With its natural beauty and contrasting grain patterns it adds a dimension rarely seen with anything manufactured in today's market. 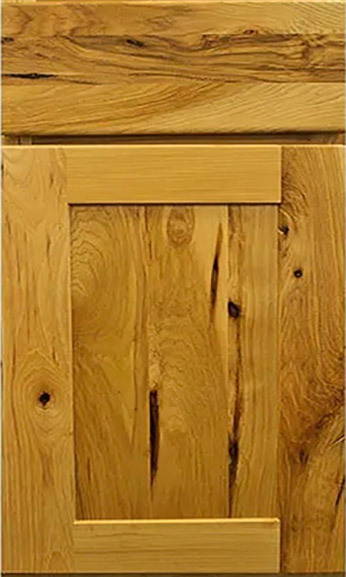 Please keep in mind that knots and pitch pockets and sap wood variations will create a distinct appearance and are NOT considered defects.